The three countries that started the Korean War in June 1950—Russia (USSR), China and North Korea—are still manoeuvring to secure a better outcome. 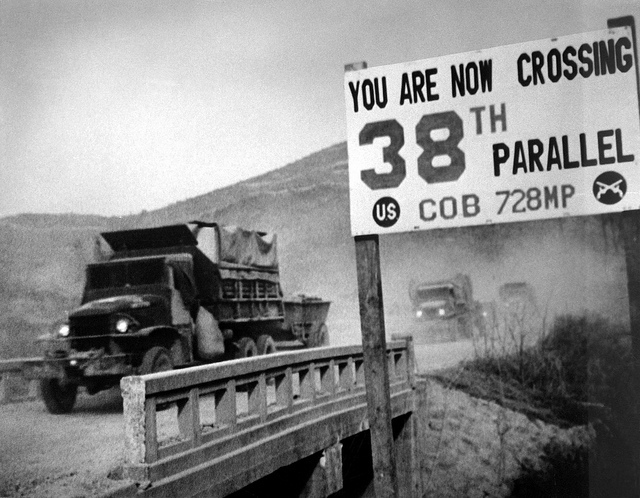 When World War II ended in August 1945, American and Soviet troops had met more or less amicably at about the 38th parallel on the Korean peninsula. In 1949, both those powers withdrew their forces, leaving behind feeble local administrations in the north and the south that each aspired to lead the first government of the whole of Korea following the decades of Japanese colonial rule. Kim Il-sung, a northerner who had fought in the resistance against Japanese rule and was accepted by the occupying Soviet forces as the leader of the north, lobbied the Soviet leader to support using force to take over the south and bring the whole of the peninsula into the socialist camp. Stalin eventually agreed that that was an attractive and feasible objective. On the condition that Kim Il-sung also secure China’s support for the venture, Stalin undertook to provide equipment, training and planning but ruled out any direct involvement by Soviet forces. China’s Mao Tse-tung approved the plan and North Korean forces launched the attack on 25 June 1950. 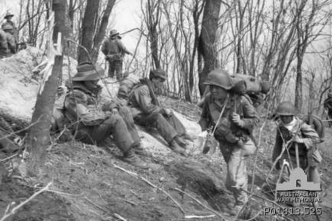 The north overran the southern forces, who retreated to a small enclave around the southern port of Pusan before the American-led UN forces reversed those gains and routed the north’s forces only to encounter, in October 1950, a large force of Chinese ‘volunteers’. This US–China phase of the conflict lasted for two more years before a truce was negotiated that recognised the original informal dividing line—the 38th parallel—as the de facto border between the Republic of Korea in the south, allied to the US, and the Democratic People’s Republic of Korea in the north, a socialist state closely tied to the USSR and China. That truce is still in place, which means that all the belligerents are still, in formal terms, at war with one another. And the peninsula did indeed evolve quickly into an arena of essentially permanent tension, provocation and imminent conflict. The USSR and China took care to ensure that Pyongyang lacked the capacity to contemplate renewed unilateral military adventurism. That remained the case even as the DPRK veered off towards becoming the most highly militarised and uniquely repressive authoritarian regime in the world. 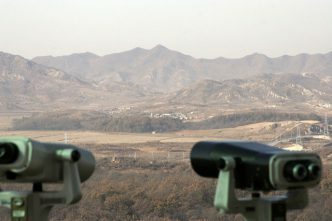 The narrative that underpinned the DPRK’s political trajectory has been founded on the contention that the country had narrowly escaped naked American aggression in June 1950 and that the enemy, a superpower bristling with nuclear weapons, had since embedded itself in the south while it searched for another opportunity to invade. Russia and China have never had the courage to contest this narrative or, indeed, to seriously encourage the DPRK to take a different path. The US has for some 70 years borne the lion’s share of the burden of deterrence and alliance management emanating from the machinations of the DPRK. Even when Pyongyang began, in the late 1980s, to explore the possibility of a nuclear option, Russia and China kept their distance. China, in particular, openly informed Washington at subsequent points of nuclear crisis—notably 1993–94 and 2002—that responsibility for the issue lay with the US and the DPRK. The DPRK conducted its first nuclear test in 2006, and others followed in 2009, 2015 (two) and 2016. It then began to work more seriously on ballistic-missile-delivery vehicles and, over the period 2012–17, demonstrated developmental progress across a family of ballistic missiles that has astonished most experts. It is astonishing because the DPRK is small, very poor and the subject of rigorous sanctions to preclude the acquisition of critical nuclear and missile technologies. Some have drawn pointed attention to the fact that nearly all of North Korea’s trade comes through China. 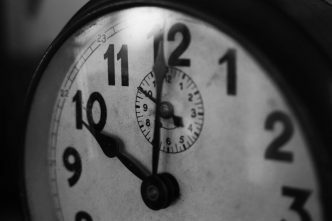 For those reasons, it is more than a little rich for Russia and China to advocate, as they still do, that the solution must lie in the US agreeing to meet and negotiate with the DPRK unconditionally—that is, without even an understanding that the purpose of the negotiations is to reverse the DPRK’s nuclear and missile programs. 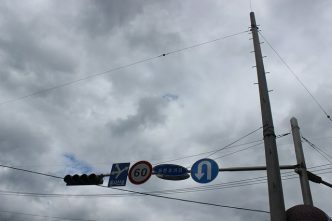 Moreover, China and Russia insist that even with the DPRK’s astonishing progress with ballistic missiles, the deployment by the US and South Korea of a more advanced THAAD (Terminal High Altitude Air Defense) system demonstrated an unacceptable disregard for their own strategic interests in an unimpeded capacity to target the US with ballistic missiles. Finally, it matters that Vladamir Putin and Xi Jinping want to see the DPRK and the US set the stage for negotiations, by the former freezing its missile and nuclear tests and the latter cancelling its regular military exercises with South Korea, implying equal responsibility for the enduring impasse. Each of these postures illustrates a cavalier denial of responsibility for the DPRK and all that has transpired on the peninsula since 1950. The fact is, however, that Russia and China bear deep and significant responsibility for the current state of affairs on the peninsula. They may hope to prolong the crisis beyond the end of American pre-eminence so that the history sketched above can be recast. But we may also be approaching a defining point. 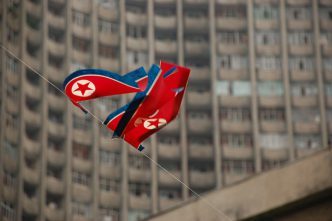 There are no attractive military options, not even for a superpower, but if the US gets to the point where it harbours doubts about the stability of the DPRK leadership and suspects that any one of several missile types could be carrying a nuclear warhead, it may feel compelled to act. It’s only too clear that a negotiated outcome is beyond the reach of the three players most immediately involved—the US, South Korea and the DPRK. All the relevant players must bring their full influence to bear. That can’t happen if some won’t even acknowledge significant responsibility for the issue. Ron Huisken is adjunct associate professor at the ANU’s Strategic & Defence Studies Centre. Image courtesy of Expert Infantry.